The Wall is a National Landmark of hope made up of 1 million bricks, with each brick linked to an answered prayer. The purpose of The Wall is to remind the generations to come of God’s goodness and how He has answered prayer in the past. Each brick will represent an answered prayer where somebody has prayed to God in a storm of their life and He has answered. The Wall aims to give people hope as they will be able to connect with people in similar situations and see how they turned to prayer and found an answer. Where will The Wall be built? We secured an incredible piece of land in January 2019. It’s an amazing story of how God has connected us with the landowner which we will share in due course. We will be announcing the location and the final winning design in May 2019. When will The Wall be built? We will begin the physical construction of The Wall in 2020, aiming to complete in late 2021. Will there be a visitor centre? Yes, on site there will be a visitor centre for the public to engage with, within which there will be a 24/7 prayer room. Furthermore, there will be an exhibition which will describe what Christians and other faiths believe about prayer and Jesus. The exhibition will link to the educational curriculum which schools and colleges can visit to complement their student’s learning. Will the answered prayers be inscribed on the bricks? No, but each brick will represent a specific answered prayer. Visitors will be able to place their phone against a brick and an app will reveal the prayer associated with that brick through text, audio or video. How will you read the answered prayers on the high bricks? For the higher bricks, there will be tourist style binoculars available on site with which visitors can zoom into a brick and the answered prayer will be shown on screen. There will also be touch screens on site where the database of answered prayers will be accessible. By entering a keyword, visitors will be able to read all related testimonies. How is The Wall funded? All the funding for The Wall will be from private investment. The project does not want to take any money from the public purse. Some of this funding will come from major donors and some will be crowdfunded from individual donors. When someone sends in their answered prayer there is an option to donate to the project if they wish. Crowdfunding is at the heart of The Wall as there is something special about building a National Landmark that is funded by tens of thousands of people. You can donate to us here. Why should I donate to The Wall instead of giving to another charity? Once The Wall is built it will generate enough income to continue to invest into social housing and other charities. We believe that God has an unlimited supply. Because of this, it isn’t a choice of whether The Wall should be built or other worthy causes should be funded; we believe that God has enough to provide for both. How does the landmark benefit the local area? The Wall has been inspired by the economic and social impact of the Angel of the North, a national landmark in Gateshead, UK. It is estimated that the financial impact of this landmark for the local area has been more than £500 million over the last 10 years. In part, this has been due to an increase in tourism. As well as this, businesses have become aware of the area of Gateshead due to the landmark and have followed up and consequently invested in the area. There has also been an increase in investments into public art in the area. We expect The Wall will have a similar impact on nearby communities. A visit to The Wall will be free of charge, and for the local residents this will be a great way to engage with public art. Further to this, the site will have a large open park area where residents can come and enjoy a time of peace and reflection regardless of faith and belief. How will The Wall benefit social housing? We are working on a plan so that when The Wall is completed, we shall donate 1 million bricks to social housing in the UK and around the world.  The Wall will not only have an artistic application but a social application across the UK and abroad. Is it just for people from the UK? No, we are seeking answered prayers both from the UK and abroad and look forward to meeting visitors from around the world. For Christians we believe that The Wall will be a piece of public art about Jesus. It is open for everybody to visit and enjoy. The UK’s heritage is incredibly diverse in relation to faith. In order to honour our multi-faith society we believe that this does not involve merging all the faiths together but rather allowing each faith to express itself in the way it sees fit. The Wall will be open for all to participate in. Will The Wall be a distraction to drivers? Mr Wilson dismissed concerns that drivers could be distracted by the picturesque scenery and said: "They should be focused on the road. But fatigue is a real challenge for road users." Interesting views could "help them stay awake", he added. Mr Wilson said enabling drivers to see "statement structures" like the Angel of the North in Gateshead and the Willow Man in Somerset gave them them "a sense of location” and acted as a visual reminder that “you're making progress on your journey". We foresee that The Wall will not be a distraction, but instead will stimulate drivers and provide a familiar marker to reassure motorists on their travels. Is there a scriptural basis for The Wall? There are multiple moments in Scripture where memorial stones and monuments are used to commemorate God’s victories and to celebrate His goodness. In Genesis 28: 10-22, Jacob sets a pillar in Bethel to commemorate a powerful vision of God that he experienced while sleeping there. Similarly, in Joshua 4:1-9, God orders Joshua and the Israelites to carry 12 stones from the bottom of the Jordan and lay them across from the river so that their children would know that God had performed a miracle there. Finally, in 1 Samuel 7:7-12, Samuel sets up a stone to celebrate God’s victory over the Philistines. You can find more about this topic on our vision page. Why is it important to share your testimony? Here at The Wall we are 'again believers' - we believe that if God has done it once, He can do it again. There are many scriptures in the Bible that encourage us to remember what God has done and recall His mighty deeds. There is power in remembering as it encourages us to look beyond our current circumstances and remember the God of Provision and how He has never failed. This stirs faith and encourages us to have His perspective in the storms of life. Testimony also changes the spiritual atmosphere to allow the same miracle to happen again in somebody else's life. Read our pages on the Power of Remembering and Remembering God's Works to learn more. What stage are we at now? We are currently selecting the winning design from our four finalists of our RIBA competition. A panel of judges consisting of church leaders, politicians and experts in the field will decide on the winning design. On 21st May 2019 we will be able to share where The Wall will be built and what it will look like. Why should I give to The Wall?